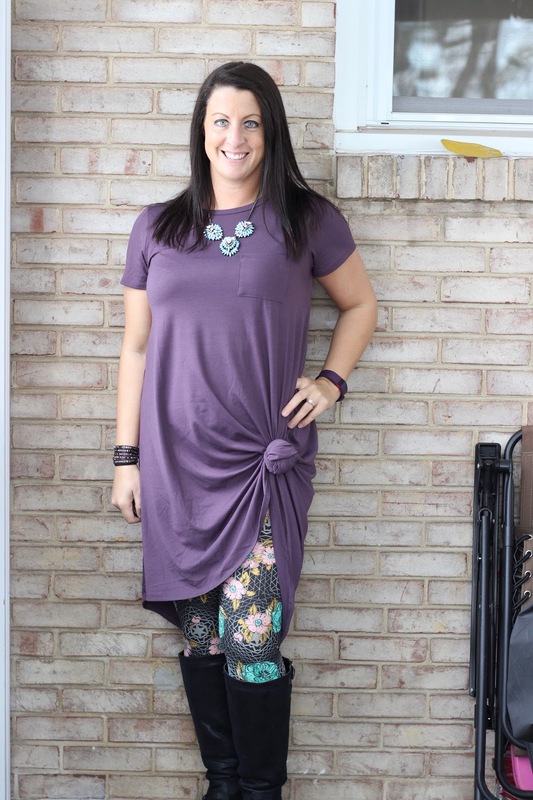 So today I want to remind everyone, especially those that buy LuLaRoe that your outfits do NOT have to match perfectly. I see so many people obsess over finding a top that matches the color in their leggings. 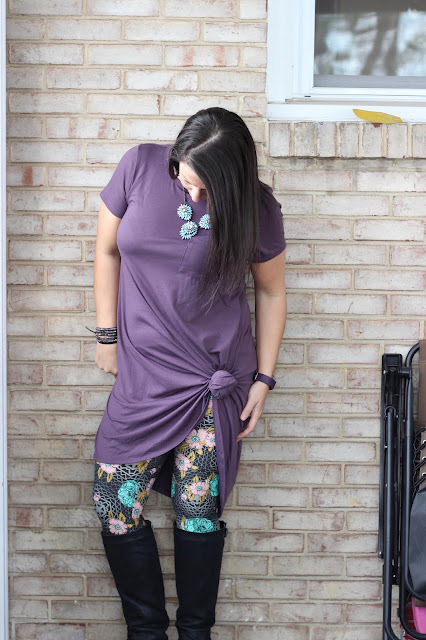 This Carly dress is knotted and worn as a tunic. It's purple. There is NO purple in the leggings I'm wearing. However it looks great together. You guys limit yourself SO MUCH when you only choose to wear matching colors. So sometimes all it takes is just looking at both items next to each other. Do they look fine? Probably! So wear them! Love this advice! No need to play it safe. That tunic and those leggings look fantastic together!